After weeks of work we had over 150 people show up for a picture in our UV Photo Booth at the Vancouver Mini-Maker Faire this year. 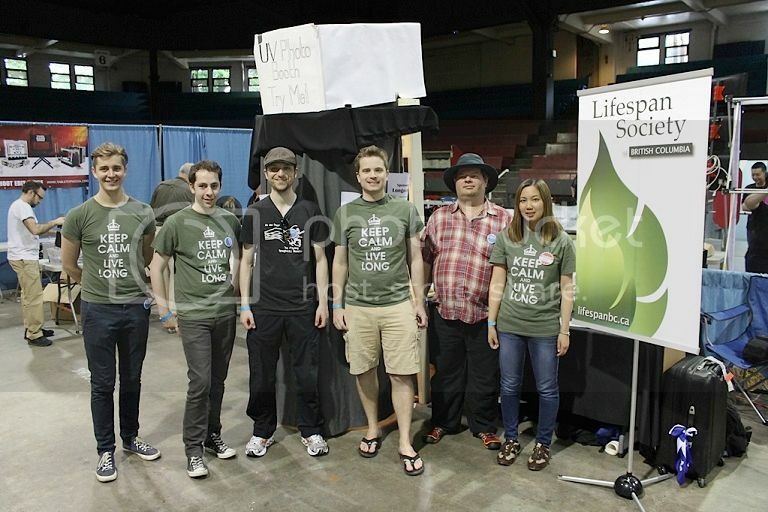 This is our first time presenting this booth to the public and it was well-received. We had a preview screen so people could see their photos right after we took them and they had the option of entering their email address to get a higher resolution picture. The UV Photo shows how protected our skin is against the sun. If sunscreen was applied the person appeared darker in the UV Photo because the UV light was unable to penetrate the skin. The photo also showed light patches were people missed the application of sunscreen. Some people had darker skin and the UV Photo showed how naturally protected they are against the sun as they appeared darker in the UV photo. I was impressed that nearly half of you were wearing sun screen. However, most people forgot to reapply it because there were light spots where the sunscreen had begun to wear away. Most sunscreen wears off within 3-4 hours. 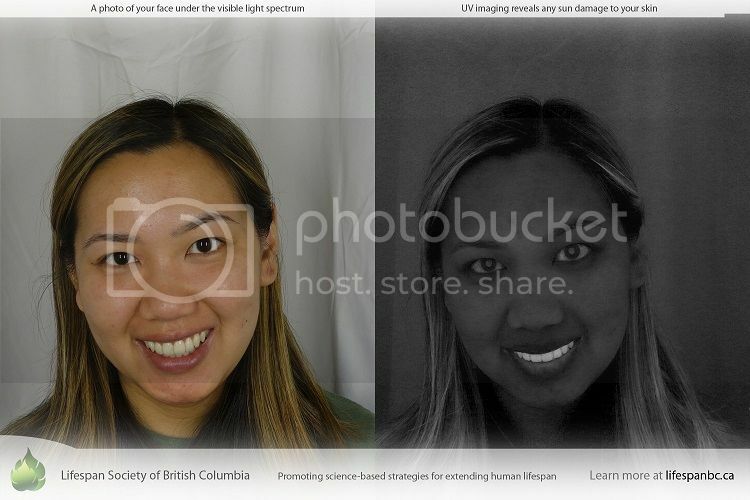 For people not wearing sunscreen that day, the UV Photo was able to show past or recent sun damage. The skin damaged by the sun also shows up darker than undamaged skin. UV light penetrates the skin more than visible light so scars and freckles are highlighted that may not be visible. It was interesting how people with glasses and hats showed up in UV Photos; the photo clearly showed which parts of their faces were covered or not. People who had recently been burned had darker UV Photos than people who hadn't. We had a few participates describe their UV Photos as "Zombie Photos”, here’s my "Zombie” pic. Here at the Lifespan Society we're focused on keeping up on the latest ways to stay healthy because we plan on enjoying life for a long time. I hope to see you soon at one of our upcoming activities.